Let our experts handle all of your home remodeling needs from design to completion. We have over 25 years of experience in everything from kitchen design & bathroom renovations to basement remodeling. We're proud to offer the highest quality of service and products, and can provide guidance and planning for any residential project. With our home improvement services, customer satisfaction is guaranteed. Call us today to make an appointment! Stillwater Builders Company has been in business since 1987, offering full-service design/build, remodeling, and general contracting services. We look forward to assisting you with your next project! We have been in the renovating and remodeling business since 1995, and specialize in kitchen and bathroom renovation and reparation. As an operated locally company, we are small enough to care about each and every customer and provide personalized service, but big enough to deliver excellent quality. At Home Renovation plus Construction LLC, we have the experience and expertise you need for a well-designed bathroom, kitchen or home renovation. We plan your remodeling project and budget with the same meticulous attention to detail we bring to all of our home renovation work. 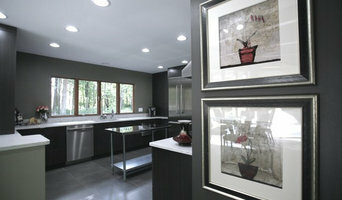 As we work on one project at a time, your kitchen or bathroom renovation project will flow faster than you can imagine. We’ll keep you up to date with our progress on works done, checking in with you any time you need. Prestige Renovations, Inc. is a full-service residential remodeling firm based in Dayton, OH. Founded by Josh Miller, he is an accomplished professional with more than a decade of industry experience. 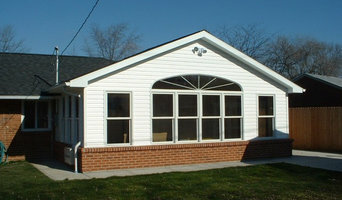 Kuhns Contracting, Inc. is a family owned business with four generations of remodeling experience in Central Ohio. Since being established in 1995, we have built a sound reputation of being honest, competitive and reliable. Whether your project includes: Additions, Kitchen or Bath Remodeling, Window Replacement, Basement Finishing, Roof Replacement, etc. 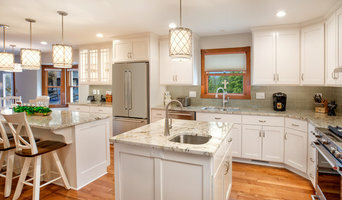 Kuhns Contracting, Inc. has 25 years of experience in all phases of remodeling. No project is too small and will receive the utmost attention to all details until completed. If you have a vision for your home – we will bring it to life. We are recognized locally and nationally as one of the best run, highest quality, residential remodeling companies in the United States. We help people who are frustrated with their home and its appearance. We help people who are angry at the previous contractor they hired. We help people who have just given up trying to remodel, repair, or DIY something themselves. Step into a Ferguson Showroom and you'll be surrounded by the latest styles in kitchen, bath and lighting design from the industry's leading manufacturers. J.Hensley Services, LLC is a first class, full service general contractor based in Mt Lookout. We have carpenters, roofers, electricians, painters, and lawn care on staff. We also have a team of craftsman that we have established relationships with that can help us take care of any task that our clients need completed in or around their home. Large or small we want to do it for you and provide you the best quality and best service available in Cincinnati! Hello, My name is Jason Bailey and I am the owner and founder of Bailey Home Services. I am a dedicated husband and proud father of two girls. I have worked in several facets of the construction industry for over 20 years. I created Bailey Home Services LLC in 2001 as a way of advancing my career and expressing my creativity. I strive to build long term relationships with my customers and their friends and family. I have built the family business through those relationships as well as referrals from friends and family, not by outside advertisement. I do almost all the work myself, using subcontractors only when necessary, so you'll know who is in your home at all times. I work hard to complete every project, in a timely manner while paying close attention to detail. 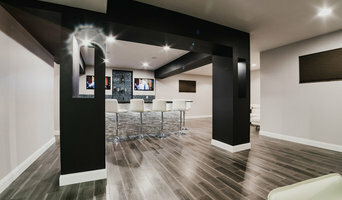 Please take a few minutes to look at my website baileyhomeservices.net to see what Bailey Home Services can do for you. At LightingOne of Cincinnati we are a small business committed to providing the Cincinnati area the best possible lighting selections with great customer service. We have a knowledgeable and professional sales staff that will assist you in all of your lighting needs. Please stop in and visit our beautiful lighting showroom!! We are located next to Furniture Fair at 9583 Fields Ertel Road in Loveland, Ohio. Please call us at 513.278.4001 with any questions or to place an order. You can also shop with us online through our extensive catalog for anything from chandeliers to exterior lighting fixtures. We look forward to exceeding your lighting needs. Harcon Construction is a full-service residential remodeling company, serving the southwest Ohio and Cincinnati metro areas. Custom kitchens and baths are our specialty. We also offer whole-house remodels, design capabilities and construction of outdoor living spaces: decks, paver patios and walkways, and enclosures. Backed by 40 years of experience, we take pride in providing quality craftsmanship and a clean work environment—and finishing your job on time and on budget. We are committed to maintaining open lines of communication and the highest level of customer service and professionalism to ensure your complete satisfaction. We are fully insured and invite you to call today to set up your free, no obligation estimate. Since 1989, Baths Plus Inc., has been a preferred bathroom design and installation company within the Cincinnati area. We are able to attain any look without compromising on quality. Our design showroom provides the most high-end durable products. With a wide variety of bathtubs, whirlpools, showers, faucets, and other top quality bathroom accessories, Baths Plus Inc. can customize your bathroom to suit your design style, allowing you to enjoy your new bathroom for years to come. Come visit our showroom at 3320 Creek Rd. in Cincinnati, OH! Cincinnati Home Improvement Company, llc. Founded in 2007 as a Specialty Coatings Company, We have grown into an "All Things Home Improvement Company". From Repairs to Complete Renovations to Build and Design We are Here to Help. We are a Veteran Owned Small Business and Federal Contractor Cage #7YA04. Over the last two and a half years we have Ranked as a Top Contractor with Home Depot which send us approximately 100 new customers a month. we use our own Team Members and have office staff in place to keep communication open. Two convenient locations in Lebanon Ohio and Fort Walton Beach Florida. Quality craftsmanship and attention to detail is the key to Akita Remodel's success. 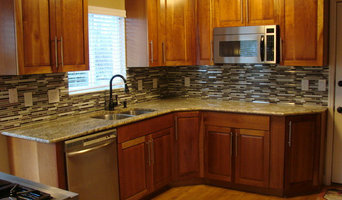 We are a full service, residential kitchen and bath remodeling company catering to the greater Cincinnati area. Making sure the job is done right, and exceeding our customers expectations is our highest priority. We also specialize in custom interiors and custom cabinetry including but not limited to, mudrooms, wine cellars, nurseries, and garage organization. Commercial Cabinetry (medical and retail). Fully Insured, we make sure that the customer is handled with the highest care and precision. The Devil is in the details.... We will work them out for you! As an award-winning, family-owned and -operated professional remodeling provider, we offer a wide range of contractor, remodeling, plumbing, painting and drywall services for residential properties. We strive to provide you with a higher quality by eliminating the need for you to perform detailed and time consuming tasks. We also remodeled the HGTV Urban Oasis 2018 in Cincinnati. We enjoy working with our clients to create custom kitchens, dream bathrooms and polished flooring with accessibility to the area’s finest suppliers. We are fully equipped for exterior projects. Whatever your home may need, we deliver it with reliable professionals, a timely schedule, and competitive pricing. Most importantly, we pride ourselves on communicating openly with our clients to ensure satisfaction at every step in the process.